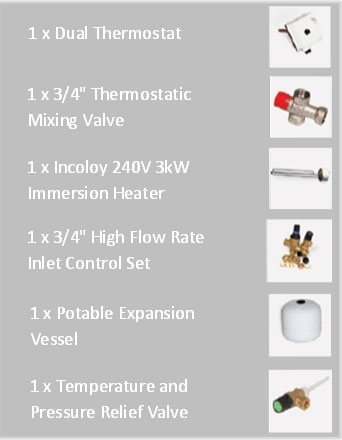 A Joule Thermal Store 1.0 is the simplest and most efficient way to integrate multiple heating sources into your system. The Joule Thermal Store can be used in both Unvented and Vented applications making it idea for not only conventional heating sources and solar Thermal but also wood burners and back boilers. 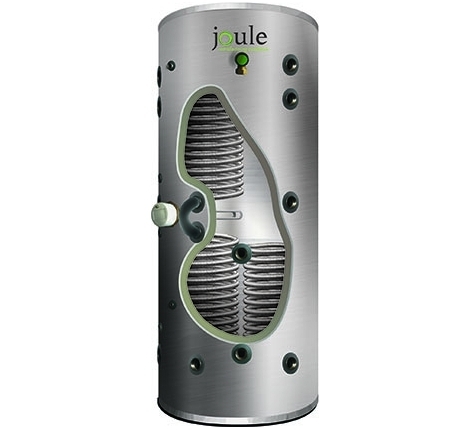 The Joule Thermal store works like a cylinder but in reverse. The tank is full of hot heating water which then transfers to the large domestic hot water coil inside the Joule Thermal Store. This allows the household to have the benefits of mains pressure hot water even when an open vented system is required. 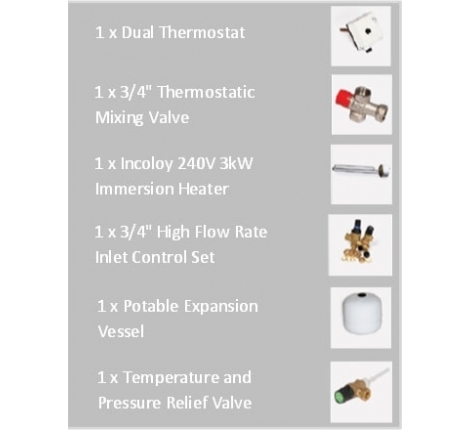 With the large number of direct connections in the Joule Thermal Store, this allows for maximum control of both the heating sources and emitters. These cylinders come with a kit as detailed under the 'Specifications' tab.